Building 26 is accessible from Delft Central Station with bus lines 69, 40, 174. 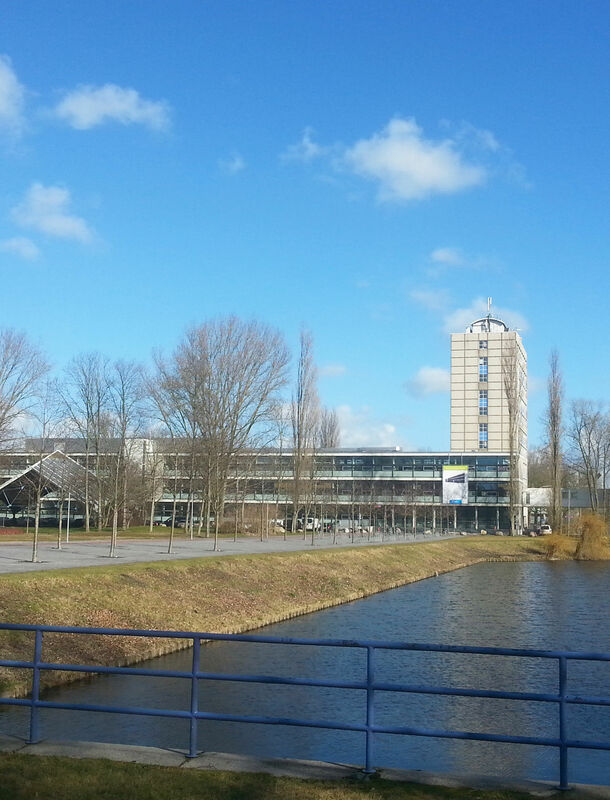 The bus stops close to Building 26 are TU Delft Sports and Culture and TNO Zuidpolder. From Station Delft-Zuid it is about 10 minutes walk to Building 26. For more information see the Dutch travel guide: 9292. When on the A13, take exit 10 Delft Zuid and follow the TU Delft signs. You then turn right onto the Schoemakerstraat and the first intersection you turn left. If you turn left immediately, you will come to the free parking area called 'Sports', where there are 300 parking spaces. From the car park it is within a 5 minute’s walk to the Van der Burghweg 1. Please note: parking on the TU Delft site is only allowed within the designated areas, otherwise you risk a fine. You will find building 26 on the campus map, with Bouwcampus as a further indication. Building 26 consists of three building parts namely A, B and C. The Bouwcampus concerns building 26 A. In building 26 B (the low building connected with an air bridge with building 26 A) are the works council, trade unions and student councils. In part C, the van der Burghtoren are located the Valorisation Centre, Delft Enterprises, TU Delft Services (TDS) and Blockchain.